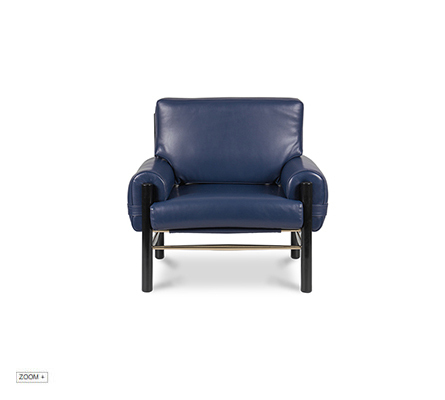 Inspired by mid century design, this leather upholstery armchair has a slender yet boxy structure. The boxy look is due to the frame of the chair although its details in polished brass give it a light touch. The combinatination of this material and the real leather add to the luxurious element of its design. The unique piece of mid century modern design, our Dean - as in james Dean -armchair is our rebel piece yet classy, always classy.